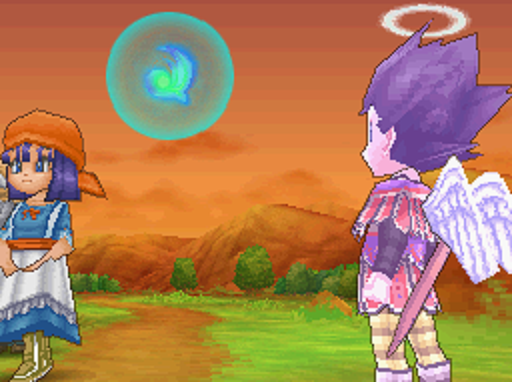 Let's Play Dragon Quest IX: Sentinels of the Starry Skies! 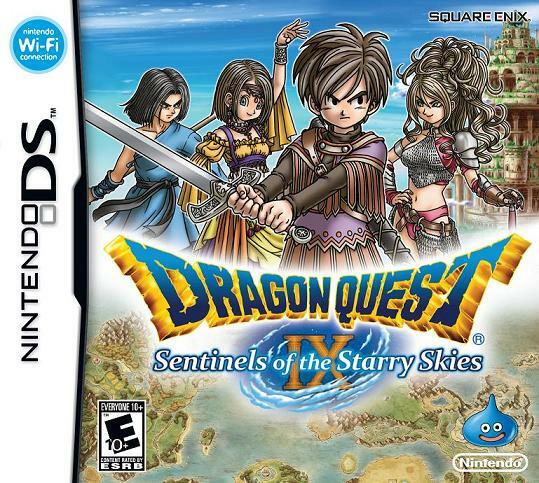 First released in Japan way the heck back in 2009 (2010 for the rest of the world), this is the ninth main-series installment in the long-running Dragon Quest/Warrior series. It was the first one released for a handheld system. It was also, for some hideous unknowable reason, the last main-line game to be released internationally. It is also rather fantastic. 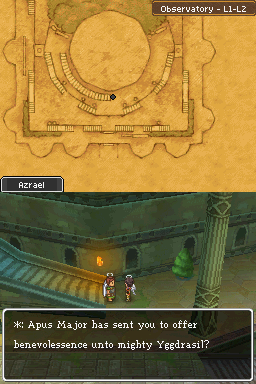 DQ9 was something of an experiment in many ways. 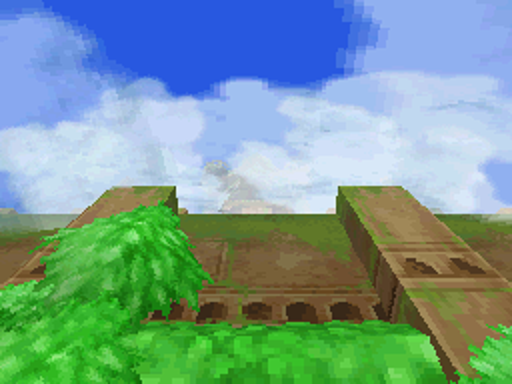 It was the first game to feature enemies wandering the map, as opposed to invisible random encounters. It was designed with multiplayer in mind using the DSi's Wi-Fi capabilities (though it was still perfectly serviceable as a single-player game, don't get me wrong). 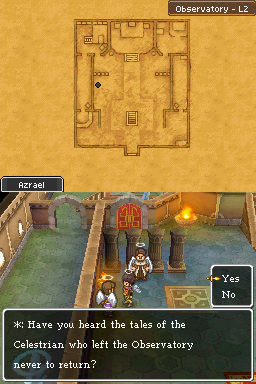 There were bonus dungeons accessible via Wi-fi. 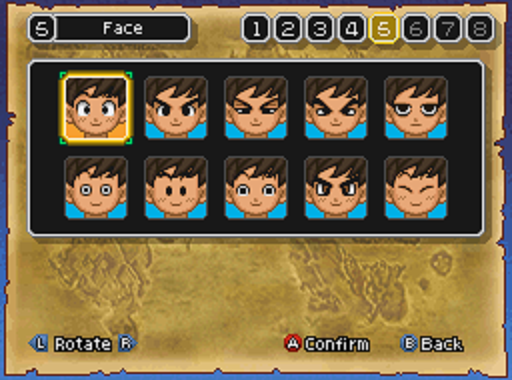 It featured hefty amounts of character customization: every party member, from the Main Character to their followers, can be extensively customized. 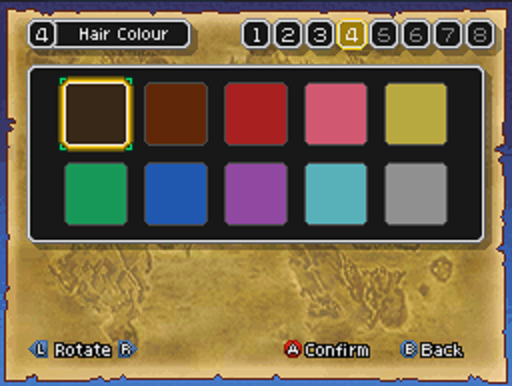 Hair color, vocation, even clothing! 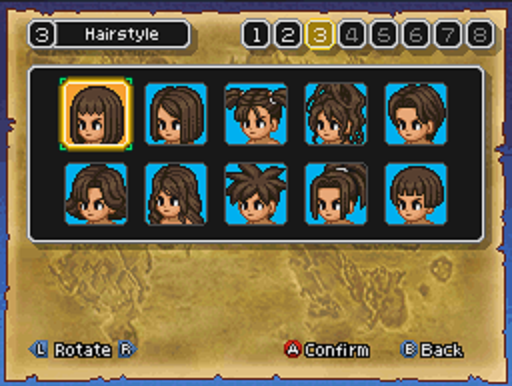 Yes, in another first for the series your equipment choices are reflected in your character model! Basically, it was a fantastic game and deserves a Let's Play. 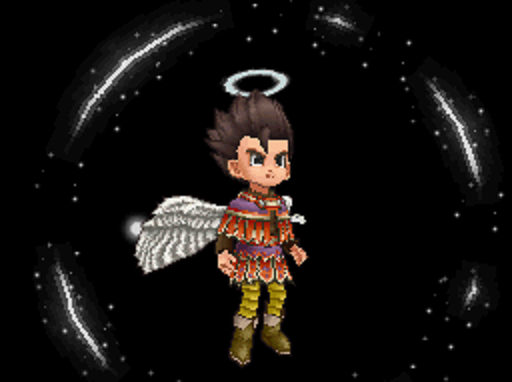 The series is most distinguishable for its character art, done primarily by Akira Toriyama. You might recognize the name from his other major, arguably most famous creations: Dragonball and Dragonball Z. 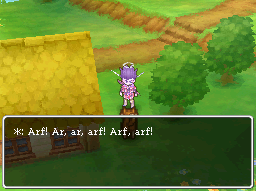 It is also, at least in the English translations, chock-full of alliteration, puns, and general wordplay. If that sort of thing offends you, I suggest leaving now. It will only get worse better as time goes by. 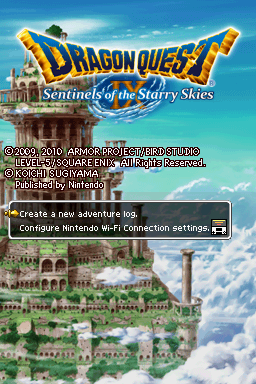 Lovely artwork on the main menu. I'm not playing on a DSi, and even if I were the servers have long gone defunct, so the second option is entirely useless. That's okay. What we really want to do is create a new adventure log. 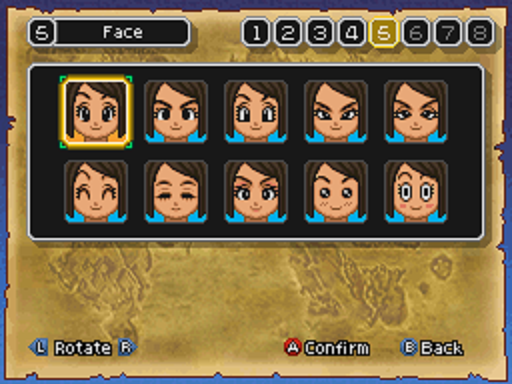 Character creation! We will need a main dude or dudette to take through the whole story. 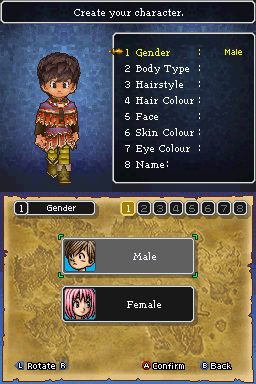 We'll be able to make other dudes or dudettes later, but for now we're focused entirely on the Main Character. Let's walk through the various options real quick. Height! The differences are in all honesty pretty slim. Ladies and gentlemen run at (exactly?) the same heights. 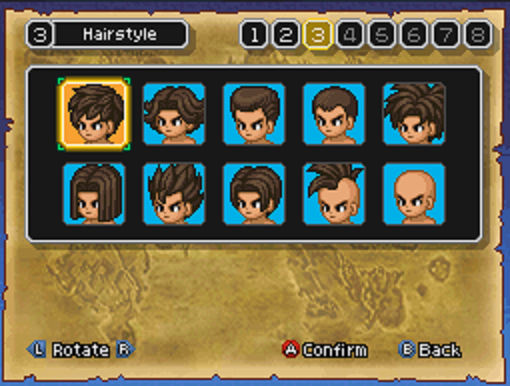 Hair style! Now we're getting somewhere! Lots of options, males and females get different choices. Hair color! Gois and goils get the same options. Faces! Lookit all the choices available! 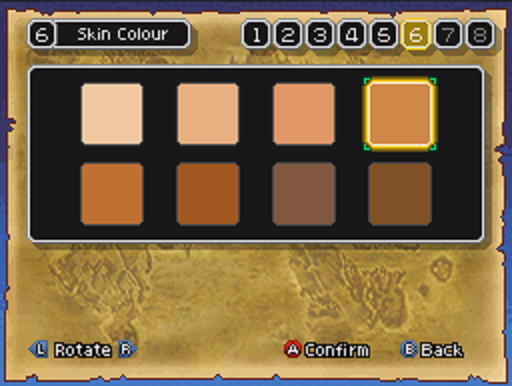 Skin colors! You're not going to get any crazy alien skintones out of these, but there's a nice mix of shades. 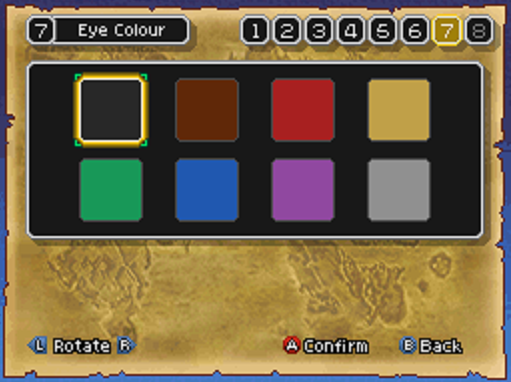 Eye color! More noticeable with some faces than with others! And finally, a name! 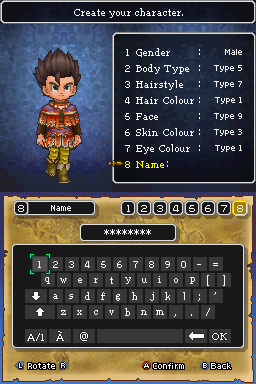 This Vegeta-looking dude, as well as anyone else, can have 8 characters max in their name. Once the main character is designed and named, the story can begin! 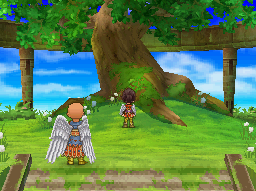 Re: Let's Play Dragon Quest IX: Sentinels of the Starry Skies! I'm going to vote for Azrael. 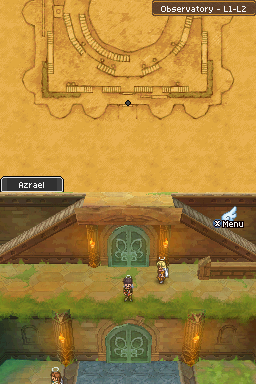 Because I've played the start of the game, so I know our origins, and I know what heroes do... visit widespread death and destruction across the face of the land. Yeah, shoot. 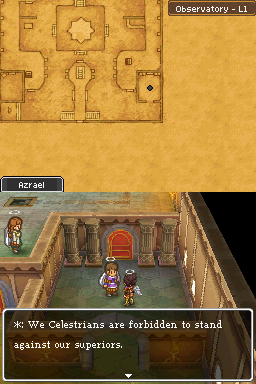 Azraels a much better name. I'll throw my support there! 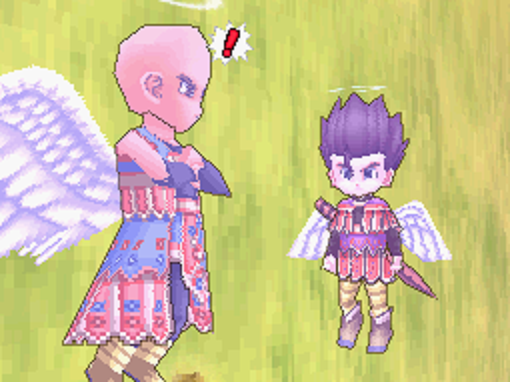 Any preference for the MC's appearance? The Vegeta cosplayer was merely an example. I’m OK with the Vegeta look, or any changes you want to make. You’re the one looking at the character the most after all. 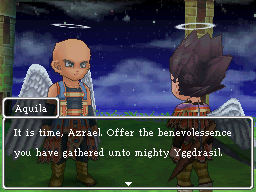 A saiyan named Azrael it is! 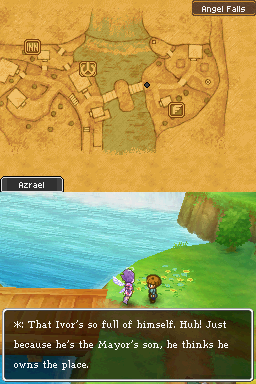 He...gets to go to Other World? 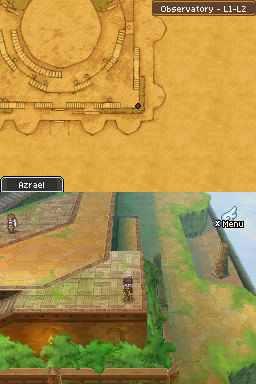 These first few updates are going to be particularly plot-heavy; gotta get the requisite doomed hometowns and such out of the way. I'll split things up some so that it doesn't come in one large update. ?? : "If you're there, say something. Show yourself. Thus do the voices of the mortals plead, ever hopeful of proof of our existence. For how long now have we watched over their realm...? For how long have we Celestrians existed...?" ...overlooked by two angelic beings. This is Tien Aquila, our mentor. Despite not appearing just yet, there's nothing particularly spoilerific about his name. : "I must confess to having had my doubts when you became Guardian of the village in my stead. But its inhabitants' continued peace and safety is proof of your devotion." 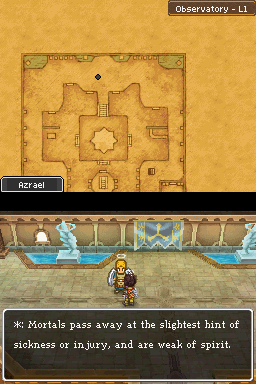 : "You are worthy of your title indeed, Azrael, Guardian of Angel Falls." : "Oh, Grandpa. It's not much further now. I'm sure you'll make it." 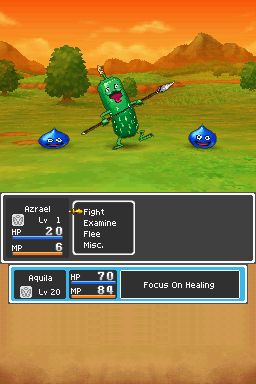 Of course, this is an RPG. Saying such things practically invites trouble. 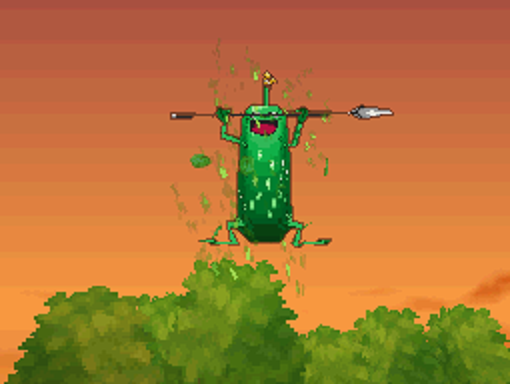 And right on cue, several monsters leap out of some nearby bushes! 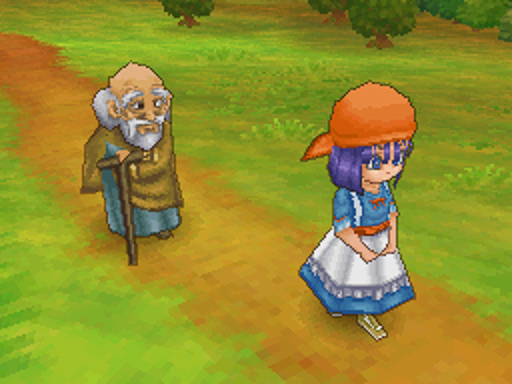 They prepare to ambush Erinn and her grandpappy. 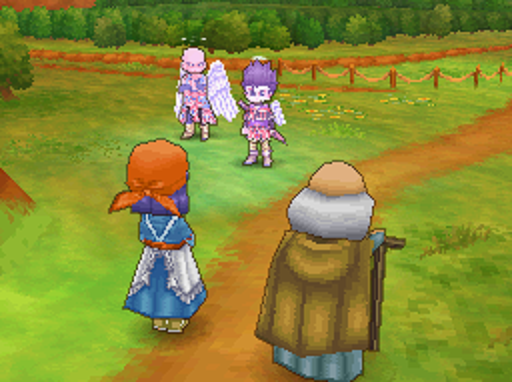 : "These wicked creatures must not be allowed to ambush innocent members of your flock, Azrael. 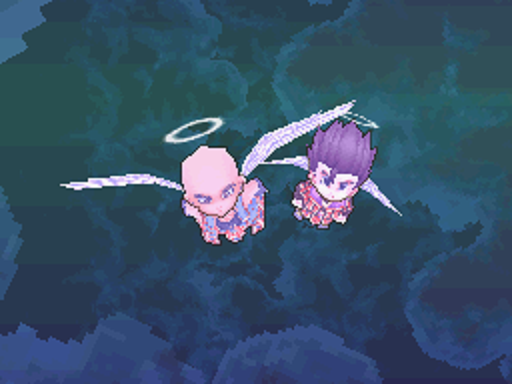 Come, Guardian of Angel Falls, it is time to fulfil(sic) our duty as Celestrians!" 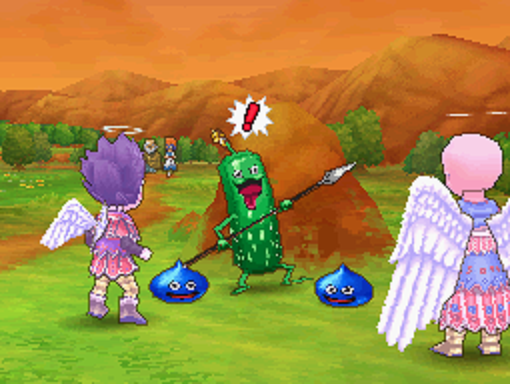 We land next to the (understandably surprised) monsters, and engage in battle! 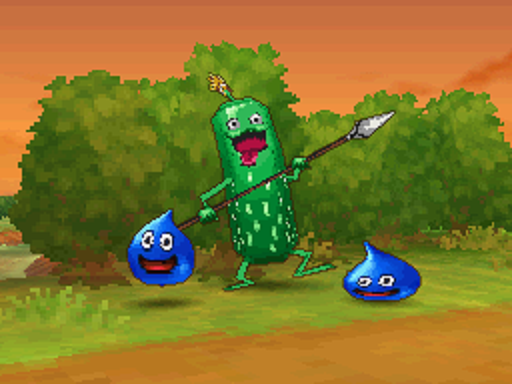 Two slimes and a cruelcumber. Easy meat for any half-way decent adventurer. 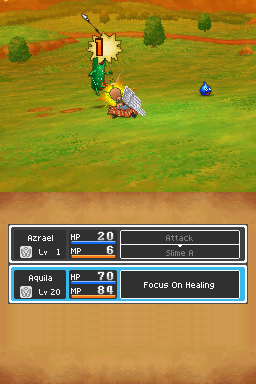 Against Azrael and the mighty Aquila? That's 19 damage, blame my lousy timing. Yeah, these guys are no threat. 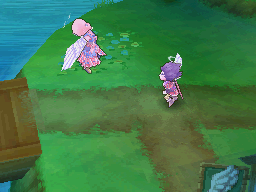 I'm not even going to bother with a combat explanation just yet. 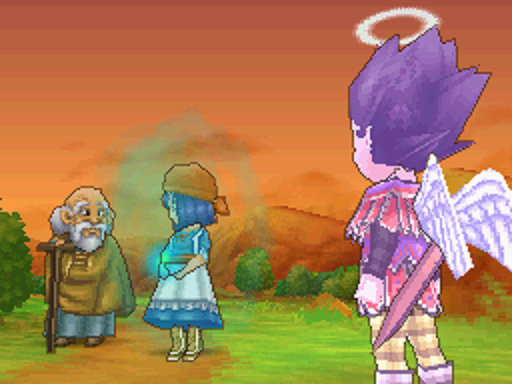 Erinn and her grandpa walk right up the angelic beings that just saved their lives...and ignore them completely. : "See, Grandpa! There's Angel Falls up ahead." 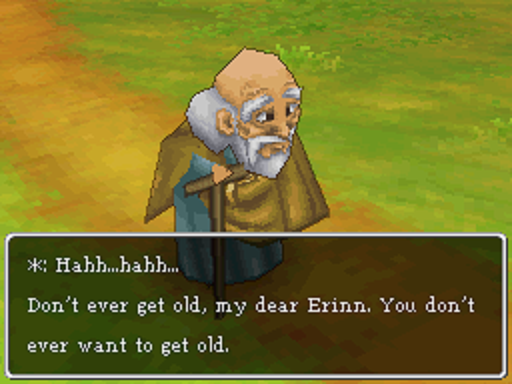 : "Oh, don't be so melodramatic, Grandpa! 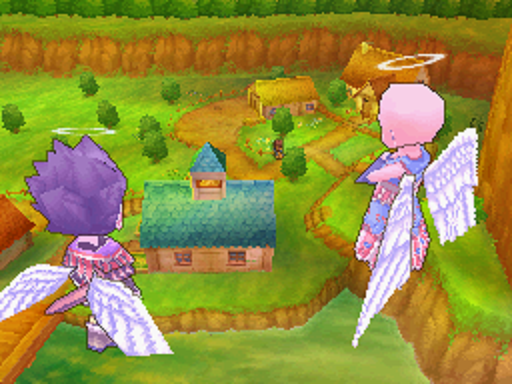 The village Guardian will have been watching over us all the way. Nothing bad could ever have happened to us." 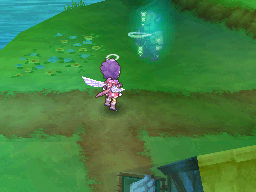 ...and a strange crystal appears. It floats over to Azrael and lands in his hands. 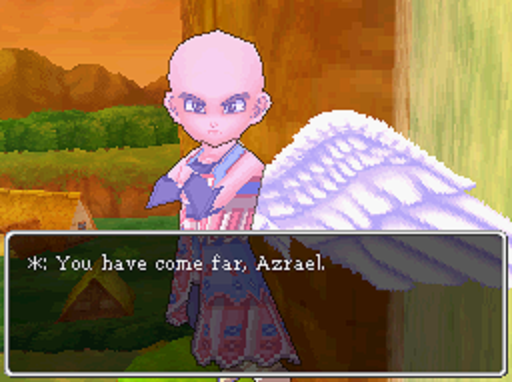 : "Behold, Azrael. Benevolessence. The crystallization of the mortals' gratitude towards we who watch over them. As Celestrians, our cardinal duty is the offering up of this sacred substance unto mighty Yggdrasil, the Great World Tree. Come, Azrael. Let us return to the Observatory, that you may make your offering." 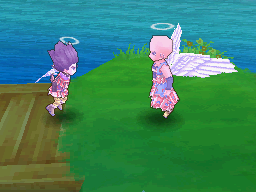 The two Celestrians take off, leaving a trail of feathers in their wake. ...is revealed. 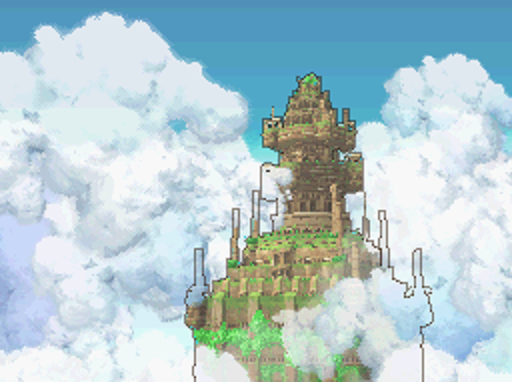 Welcome to the Observatory, home of the Celestrians. 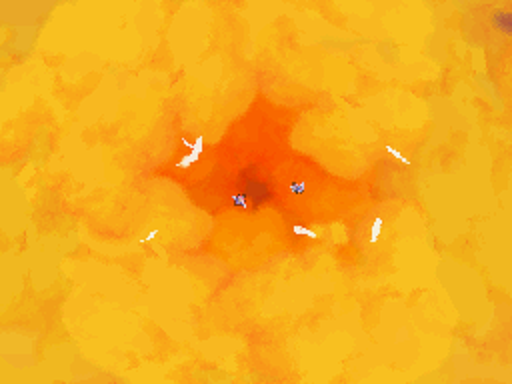 The duo enter through a star-shaped hole in the floor. 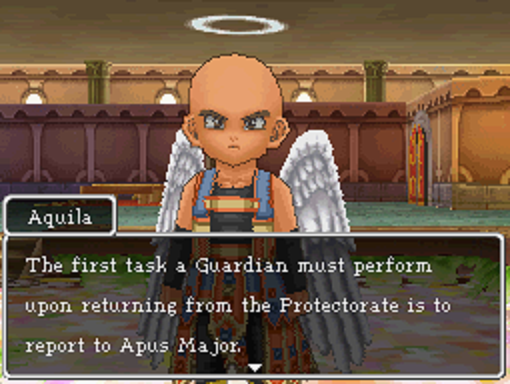 Aquila tells us to make a report immediately. He's got other matters to attend to, and so takes his leave. With that, we are free to explore! 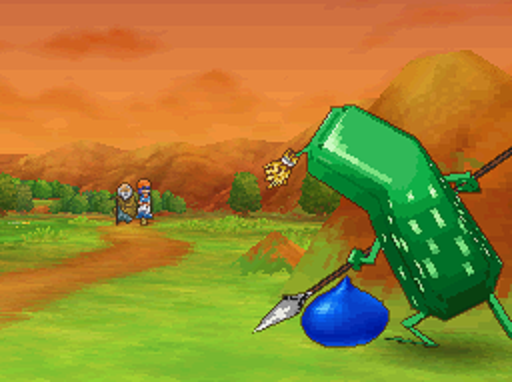 DQIX, probably due to limitations imposed by the DS' hardware, uses a curious mix of sprites and 3D models for the various characters we'll encounter. 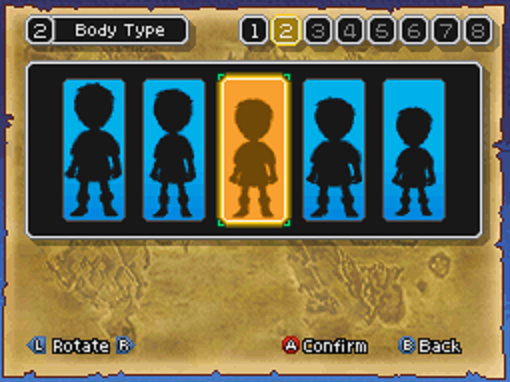 It means you can usually pick out the important people, as they'll be actually rendered. 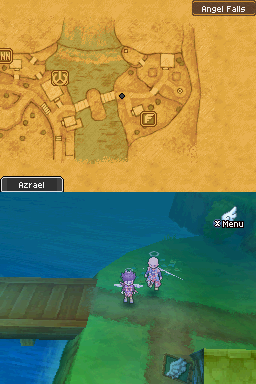 On the top screen, we have an extremely useful map. The black dot is us. 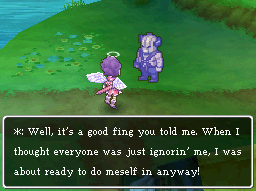 Most of the NPCs don't say anything particularly interesting. 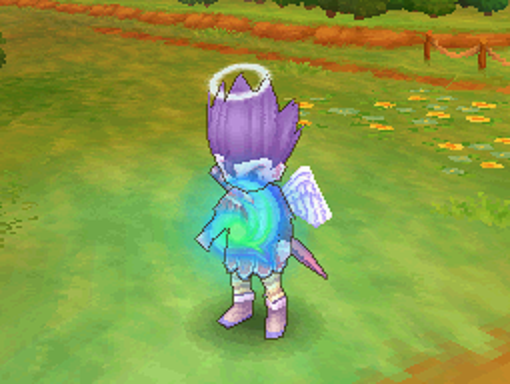 This young Celestrian asks if it's true that mortal people cannot see Celestrians. As we saw with Erinn, this is indeed the case. 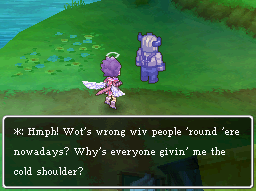 Her...father?...tells us why we go down to the world below (known as the Protectorate) and assist mortals. 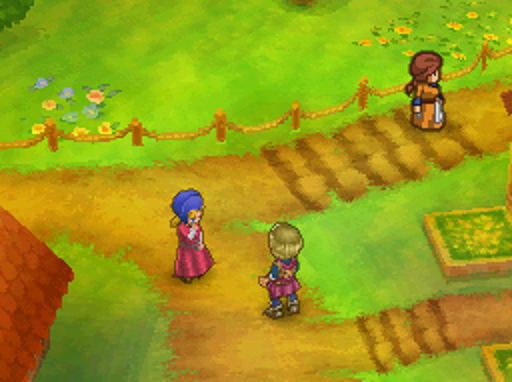 This is where we save the game, as well as gain access to some additional functions. Divination will tell us how many experience points are needed to level up. Benediction will remove a curse (aka, a piece of cursed equipment) from a character, for a small fee. Curses don't come in until later. 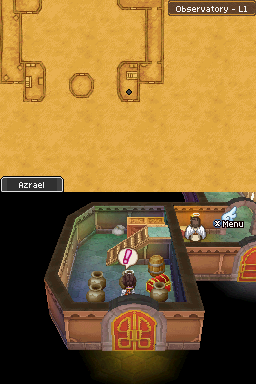 Azrael hates pots and barrels nearly as much as Link does. 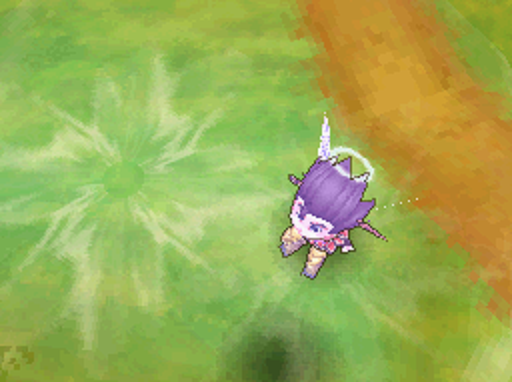 Smashing them rarely yields much, maybe a few gold pieces, but it sure feels cathartic. 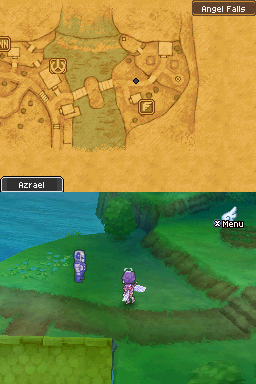 The chest contains a Chimera Wing, which allows you to warp to towns you've visited previously. This basically sums up the general view of mortals and the Protectorate in general. 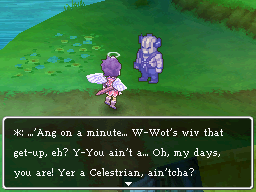 Celestrians are something of a snobbish lot. I'm sure this won't come up later. 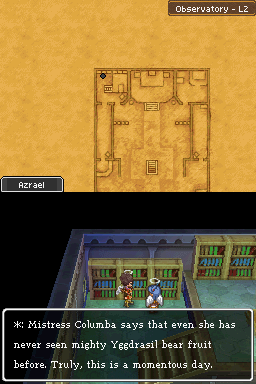 Stepping into a certain room starts a cutscene. 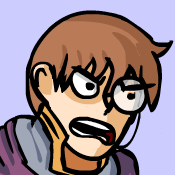 : "You assume too much, Columba. I also believe it is too soon for him to take on a Guardianship. It was Apus Major's decision." : "Indeed? How amusing! I might have known." : "It is no laughing matter. 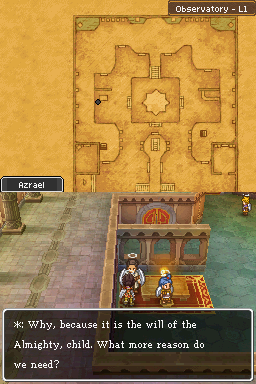 Azrael is but a fledgling. What if something were to happen in the Protectorate? Do you forget the tragedy of Corvus so soon?" : "Hmph. No, of course not, but...we have been forbidden to talk of that matter here in the Observatory, have we not?" The outside of the Observatory. A beautiful, if somewhat rundown, place. 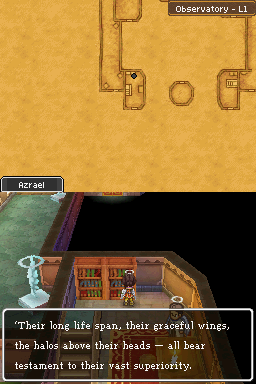 Some chests can be found, but they don't contain anything overly interesting. We'll be coming out here officially before long. I'll show it off then. With that, there is nothing to do but progress. Which we will do...next time! This update's long enough as-is and I don't want to run into the character limit. The next update should be up later today or tomorrow. 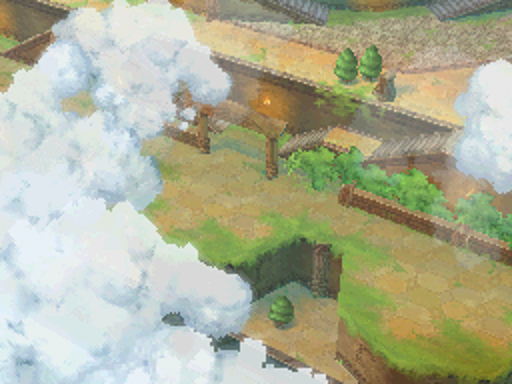 So folks have probably noticed that I've been up-sizing screenshots that involve only one screen. 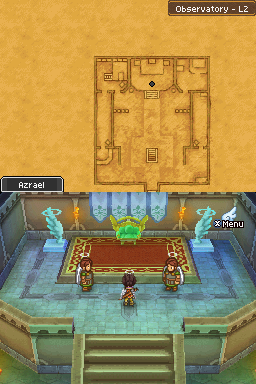 Cutscenes in DQIX usually (always?) 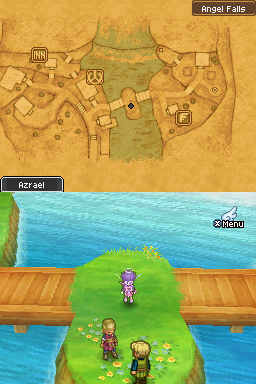 involve just one screen while the other is blank, so I crop out the blank screen and upsize what it left. The question is, do folks actually like the larger screenshots? 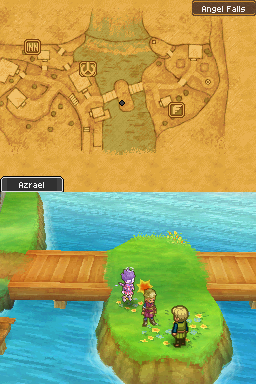 Should I crop and leave cutscene stills at their default size? I'm worried that doing it that way would make the text and action a bit harder to read. 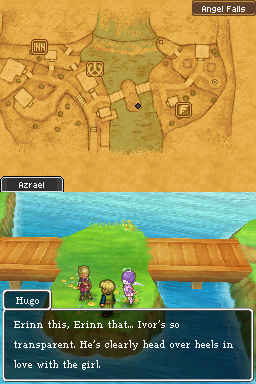 On the other hand, smaller screenshots are slow-Internet-friendly. Let me know. I'm a bit rusty at this sort of thing. It felt fluid enough. 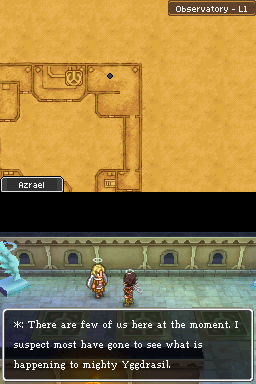 It's kind of nice in a way since it feels like the larger images are a bit more important. Course, I am not a proper computer right now so I may have to check again later. 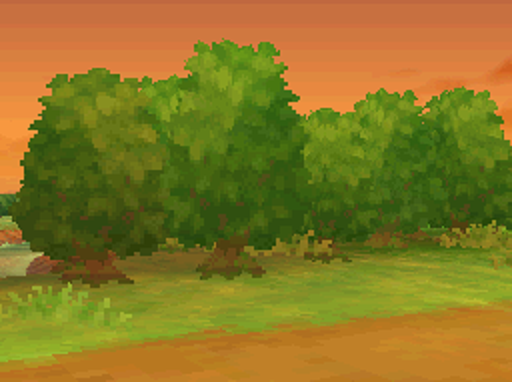 Just to experiment, today's images will remain their normal, unaltered size. I will still crop out blank screens though. 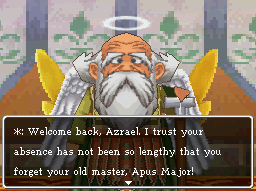 It's time to meet this "Apus Major" folks are talking about! Folks on the Observatory have been telling us that Apus is extremely old, even by Celestrian standards. He certainly looks the part! 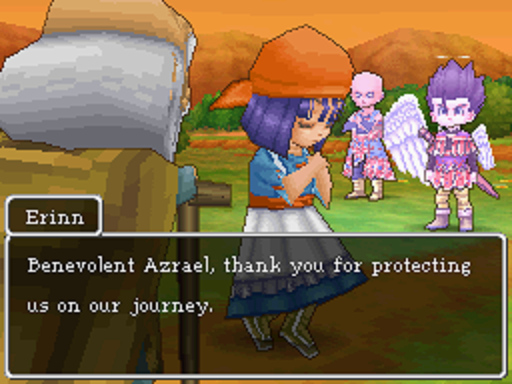 : "My congratulations on successfully completing your first task as a Guardian, Azrael. 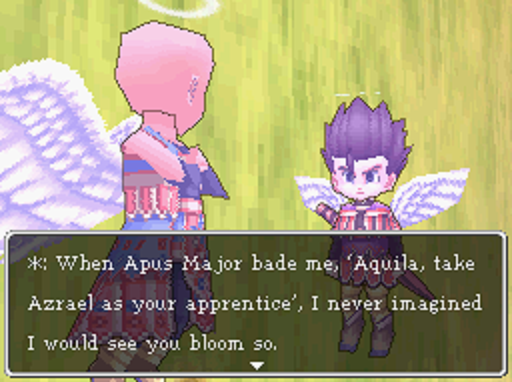 You have performed your duties well thus far, albeit under Aquila's watchful gaze." Well, of course we are! 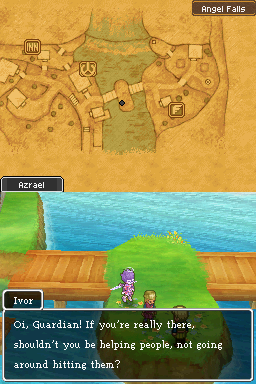 But even if we weren't, the game progresses anyway. : "And so we come to the next of your duties. I believe you have acquired a crystal of benevolessence, have you not? The essence of mortal gratitude. You must offer it to the Great World Tree, Yggdrasil, who shelters us with Her nurturing boughs from atop the Observatory. She will soon bear fruit at last. Go now, and do as I have instructed." 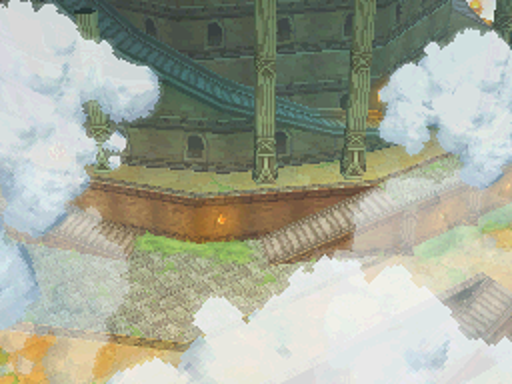 Now, the only way to get to Yggdrasil is to go back outside and head upwards. As I said before, it is rather nice out here. 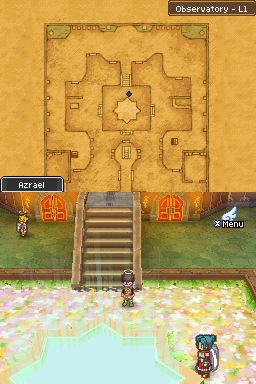 You can tell that the place used to be much grander, though. The Observatory is slowly crumbling. This guy would have refused to let us pass before speaking to Apus. 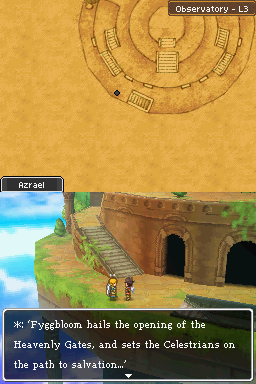 A bit of explanation of the Celestrians' goal. 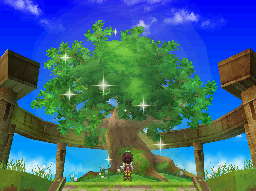 A few sets of stairs later we finally arrive at the great tree Herself. We make our offer of benevolessence. 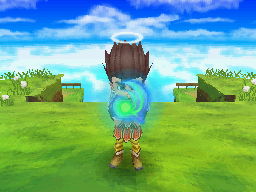 It gets absorbed by Yggdrasil, which sparkles for a short time. 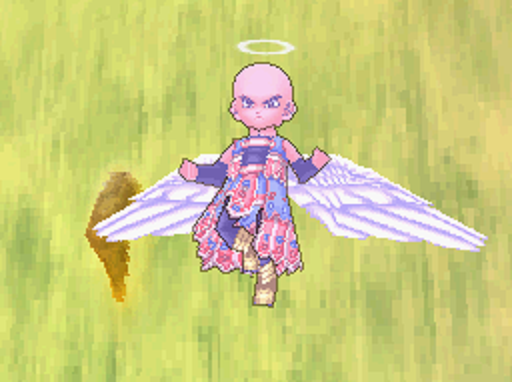 Aquila joins us after the offering is complete. : "Behold, Azrael...Is Yggdrasil, unto whom we offer the benevolessence we gather, not truly beautiful? Gathering and offering up benevolessence is the most sacred duty with which we Guardians are charged. 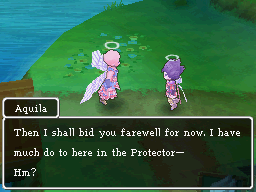 I trust you will perform your duties well, Azrael, Guardian of Angel Falls." 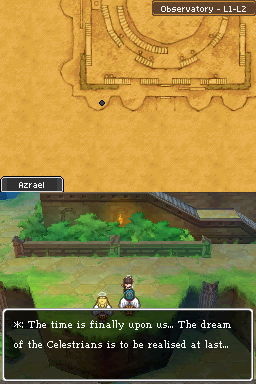 With that, the cutscene ends. 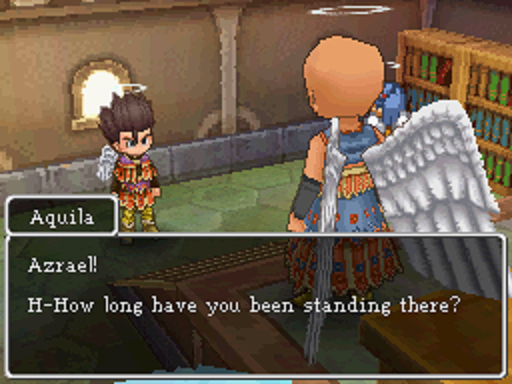 Aquila hangs out though, and we can talk to him for a conversation both mildly amusing and mildly unsettling. : "I have been thinking, Azrael, Guardian of Angel Falls...To address you as 'Guardian of Angel Falls' is both convoluted and inconvenient. You will henceforth allow me to use this form of address only when formality dictates, I take it?" We're given another Yes/No option here, but here's the thing: Celestrians are forbidden to disobey the orders of their superiors. If we try to say "No", Aquila pointedly reminds us of this fact. Something to keep in mind. 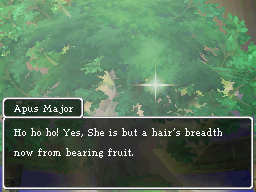 Anyway, our next goal is to speak to Apus Major and report in. 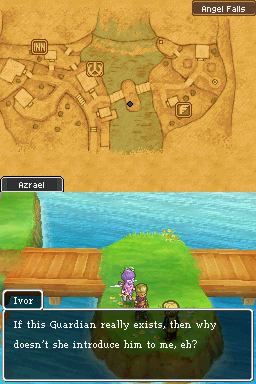 Nothing interesting happens on the way down, just some NPCs talking about how Yggdrasil will soon bear fruit. : "Well done, Azrael. 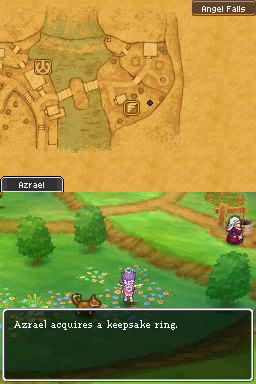 And how did mighty Yggdrasil appear to you? She was fiercely aglow? Ho ho ho. It seems the time may soon be upon us. 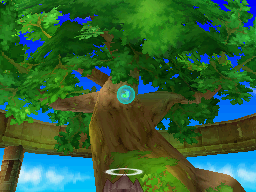 As I am sure you are aware, it is we Celestrians' duty to tend mighty Yggdrasil until such a time as She bears fruit. It is to this end that Guardians watch over mortalkind and gather benevolessence. 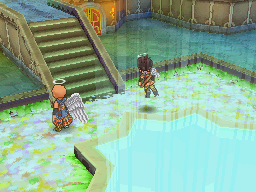 And now, Azrael, Guardian of Angel Falls, I believe you know what you must do next. You are to return to the Protectorate and continue to gather benevolessence. ...This time without Aquila to accompany you. 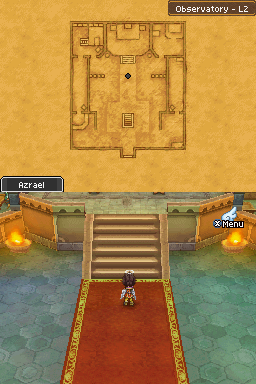 Make ready, and then speak with the female Celestrian who stands guard over the great portal on the floor below. 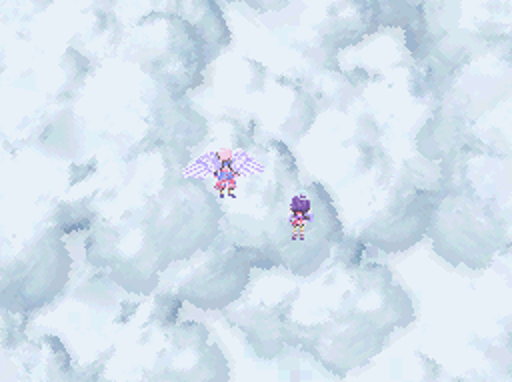 May all of the bodies of the heavens watch over you, Azrael, Guardian of Angel Falls." There is only one interesting thing going on at the Observatory. This Celestrian tells us about one of ours who descended to the Protectorate and never returned. 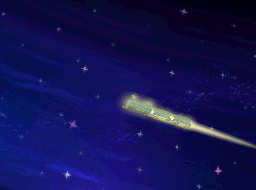 Many other Celestrians searched for him, to no avail. Well, enough of that. It's time to resume our Protectorate duties! 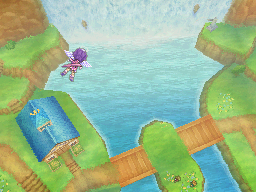 We land in Angel Falls, next to a conversation already in progress. 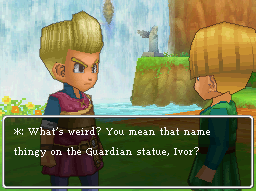 Meet Ivor, the dude trying for a pompadour. He also has an inkling that something is amiss. : "Really? 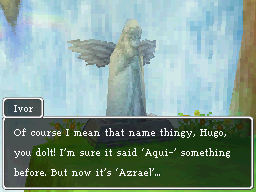 Well it's said 'Azrael' for as long as I can remember." : "And how long is that, exactly? Do you remember reading it before?" : "Er...I...That's funny...I, I can't say that I do." : "You see! 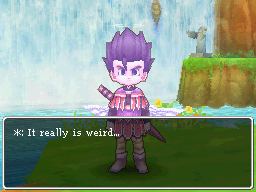 Everyone around here's weird. It's only just changed, and everyone thinks it's been like that forever." : "Ah-ha! 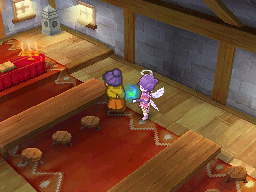 It must be the work of the village Guardian, then!" : "Don't be such a wally! There's no such thing as Guardians. They're just made-up rubbish. It's only Erinn who believes in all that nonsense. She's such a dumb, er...brunette." And with that, we get to do something kinda fun! 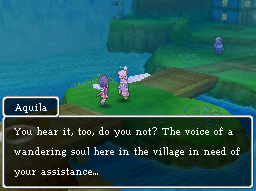 As the village Guardian, we get to float around and help folks with their troubles. 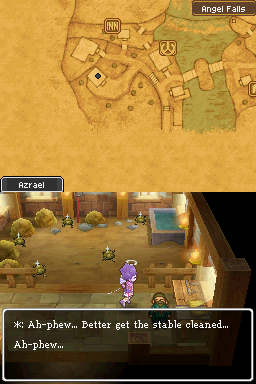 We're completely invisible, of course, but luckily the people of Angel Falls like to speak their thoughts out loud. Like so. Ivor's tsundere, while Erinn's oblivious enough to make a romcom protagonist facepalm. It's all very interesting. (Un)fortunately, we can't give Ivor a good kick to the shins, or even a harmless tap on the shoulder. Unless, that is, we talk to this kid first. 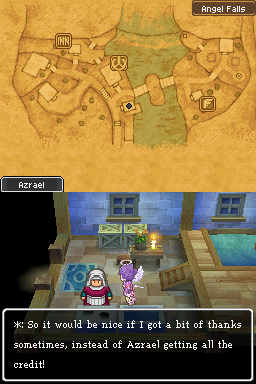 A ghost apparently wanders the village at night. 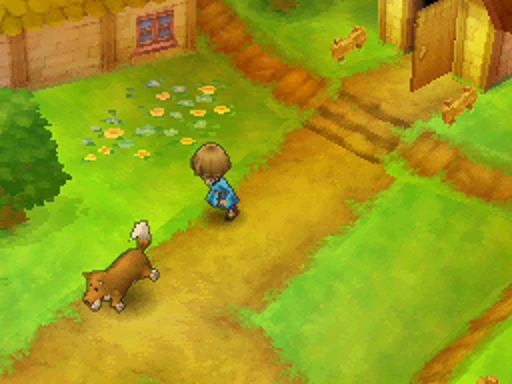 A dog points us to a lost ring. We return it to its rightful owner, a grieving widow. Her gratitude is such that it produces a crystal of benevolessence. 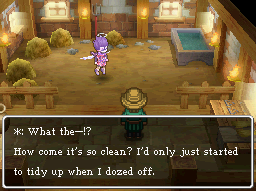 This guy...is too tired to clean the stable. Ugh. Stepping outside reveals that night has fallen. 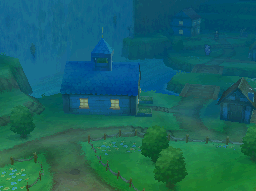 It's actually rather peaceful at night, with slower music and many NPCs sleeping in their beds. Also a somewhat bitter housewife. Well look who decided to check in on us! : "You are taking your new role very seriously. 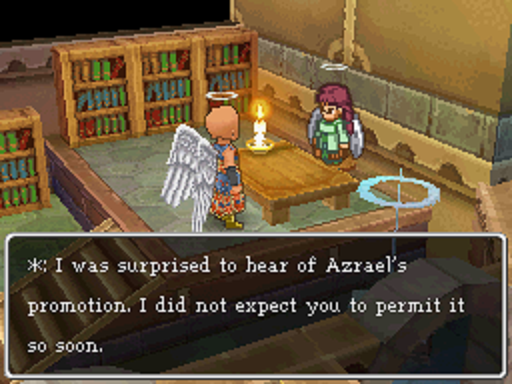 I am glad to see this, Azrael. What is it? You feel that your old master does not trust you to work alone? It is my duty now to patrol the entire Protectorate. 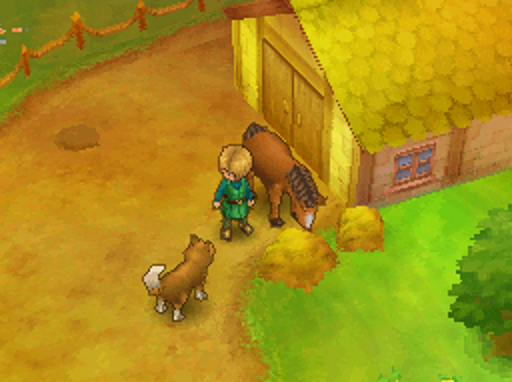 Though you guard it well, I must sometimes revisit my old territory. And as I am here, Azrael...There is one last lesson I must teach you. As Guardians, it is our duty to tend to our mortal flock. But this means more than merely watching over the living. Sometimes we must help those who have passed away, but whose souls continue to roam the land." We find this pale-looking fella just a short ways away. His accent is...something else. 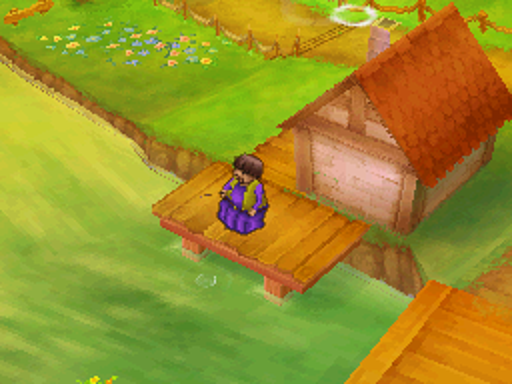 Unlike all the rest of the villagers, he can see us just fine. He asks if he's dead. We tell him the truth. 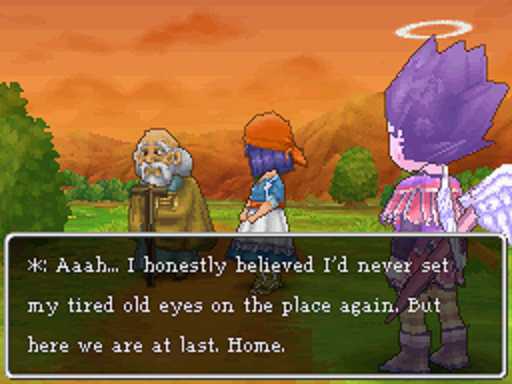 He thanks Azrael for setting him straight, dropping this rather depressing line in the process. As he fades away, he leaves a piece of benevolessence behind. 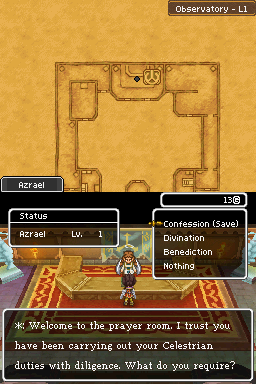 : "You have done well, Azrael. Thanks to your intervention, a mortal soul has made its peace, and is now at rest. The benevolessence of a departed soul shines more brilliantly than any." We've done good work today. 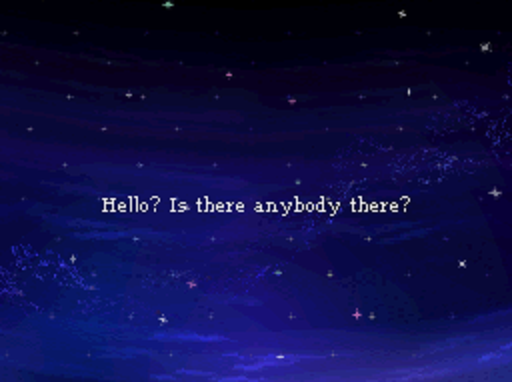 It's time to return to the Observatory. Forgive the somewhat shorter update. The next one is going to have a lot of stuff happening without much opportunity for a break, so this seems like a natural spot to stop. Not bad, three more benevoessences for a day's work. As for the screen size, they work for me, it's a good size for mobile, a little small on PC but I can read the text without issues. Last time we gathered a bunch of benevolessence and guided a lost soul to what lies beyond. Now, it's time to head home. 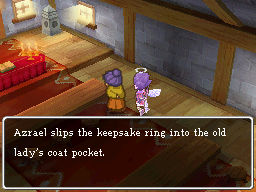 : "Well, Azrael? Are you ready to return to the Observatory?" Yup. 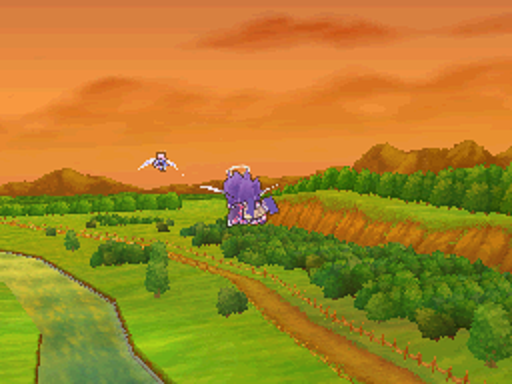 That's a flying train. : "The Starflight Express...Indeed, it has been unusually active of late...I have changed my mind. 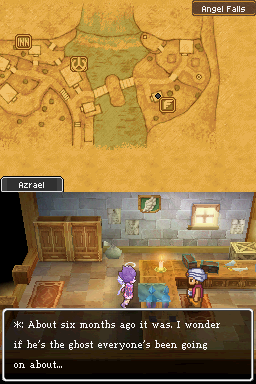 I will accompany you to the Observatory after all, Azrael." It's still night time when we get back. 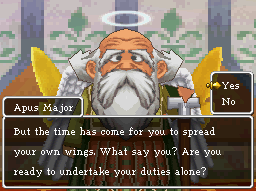 : "I have important matters to discuss with Apus Major. Please, excuse me." 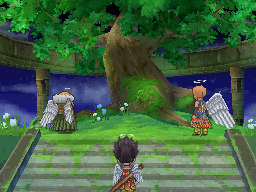 Outside, many Celestrians are gazing at Yggdrasil. And here are our mentors. 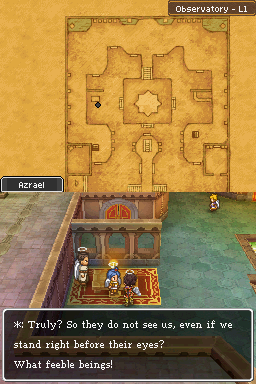 : "Well met, Azrael! Truly, you have chosen a fortuitious moment to join us. 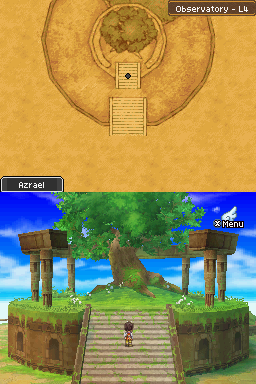 Behold Yggdrasil. She is ready to burst into bloom with all the benevolessence we have offered unto her. 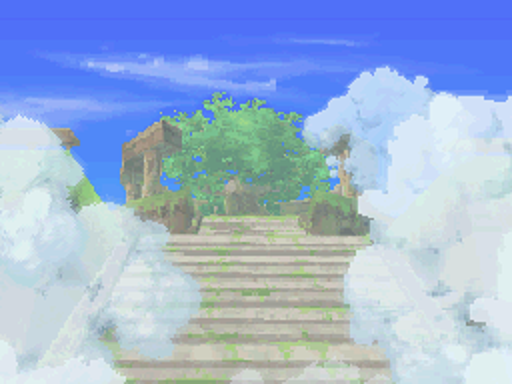 : "'Fyggbloom hails the opening of the Heavenly Gates, and sets the Celestrians on the path to salvation...'"
: "'...And lo, it shall be in the celestial carriage that we, the chosen custodians, journey unto the Realm of the Almighty.'" : "Do so, and She will surely bear fruit at long last." This sounds like a wonderful idea! So long, Protectorate! The linked video is down due to account termination. I managed to watch it before everything ah... Went down. 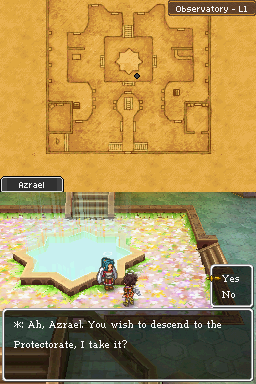 I guess now the plot really starts to kick in a bit! Gaddangit. I made that friggin account just yesterday. Okay. 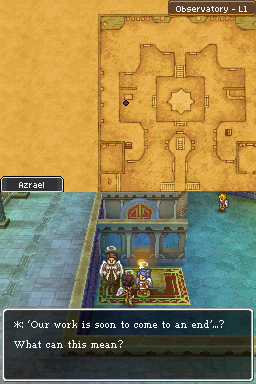 For now, you can watch the cutscene here If you're on mobile, go to 1:23. No matter what, avoid watching further than the title splash if you don't want spoilers. Actually it looks like it might be up again? Maybe the fact that I tried to check in and see what was the problem cleared something up. I dunno. Anyway, y'all can try my video again, or just use the one I linked in this post.